Summer is (almost) here. World Cup on Thursday, should be fun. Tabitha is finished with first grade next week, which is baffling how fast it all disappeared. And we cleaned off our porch this Spring so we'll actually use it this summer, which is a plus. It's also a time I ask superfans of BEQ.com to chip in to keep the site chugging along. The drill's basically the same, only with one small adjustment. Big picture is, this site is free, and shall remain free. No subscriptions, no nothing. You want a puzzle from me? You get two of them each week. No ifs, ands, or buts. But hey, like waiters, I like tips. 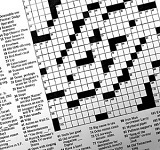 And if you can tip, that's great, and as a further thank you, you'll get two super-sized Sunday bonus puzzles. One themeless, one themed. So, if you've been a regular, you've heard pretty much every word in this paragraph. The new bit is that after eight years of keeping the suggested tip the same price, I have to bump it up just a bit. $15, please and thank you, from the usual places: PayPal, Venmo (@TheBEQ), or email me and we'll figure out some other way to do this. One more thing: if you do tip and you don't get the puzzles within say, a day, get in touch and say "hey, what gives?" I'm working on automating this, but for now, it'll have to be this way. Okay? Okay. 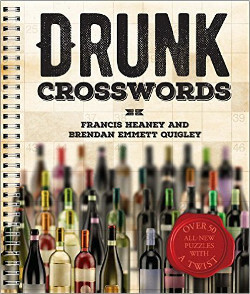 Lastly, one randomly selected tipper will get a copy of "Drunk Crosswords" or something else from my house I don't want any more. Drive ends July 5th!